Teak Patio Furniture endures the coldest and longest of winters, from blizzards in Montana to wet and windy rains in Georgia. 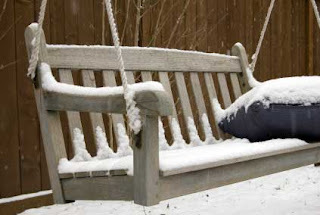 There is never a need to bring teak patio furniture in from the cold - it holds up just fine covered in two feet of fresh white snow. Teak furniture also holds up to hot, humid climates, and the wood never gets heated under the blistering sun. Teak wood contains an abundance of natural oils that serve as a barrier against the elements, no matter how extreme the weather may be. Teak wood can be protected or returned to its original color at any time, although many people prefer the natural patina finish of weathered teak. It takes approximately one year for untreated teak wood to reach the uniform patina finish, but this weathering process will only occur if the teak is left outdoors. Teak patio furniture is an excellent choice for any home or landscape. Teak is often considered a luxury, but with manufacturer warranties covering upwards of 20 years, teak is clearly more of a sound investment than it is a luxury.